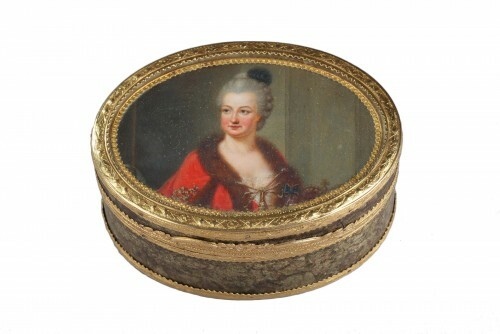 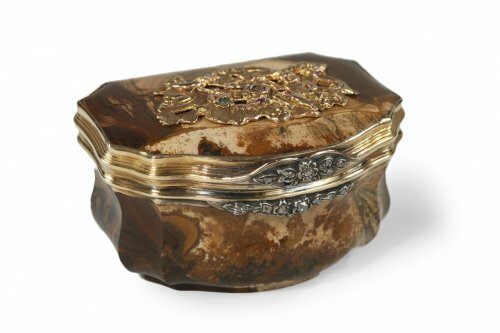 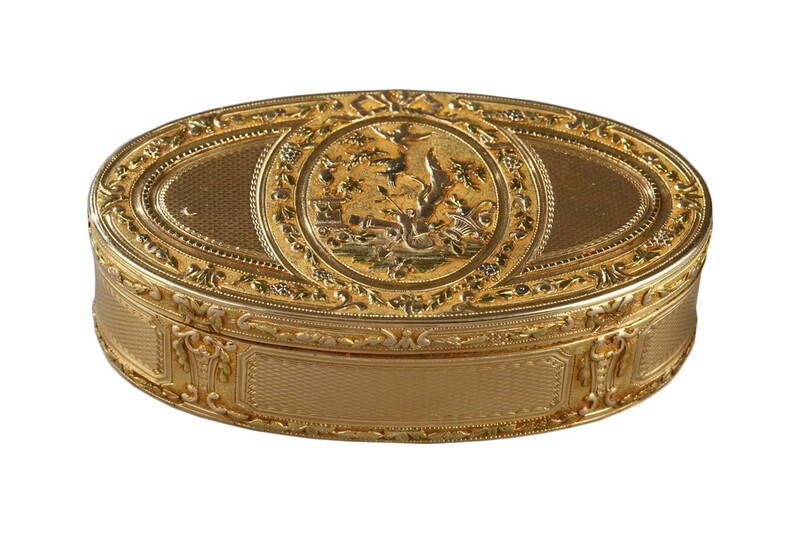 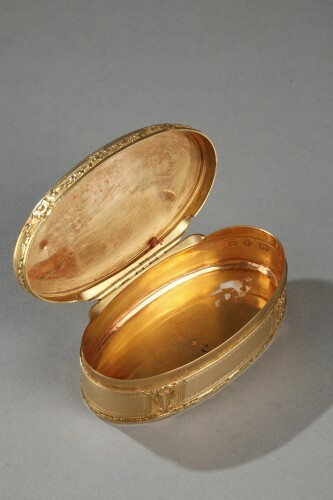 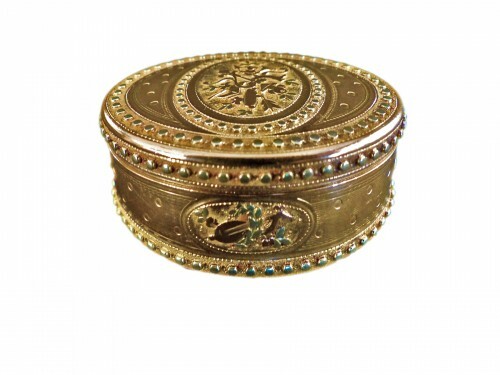 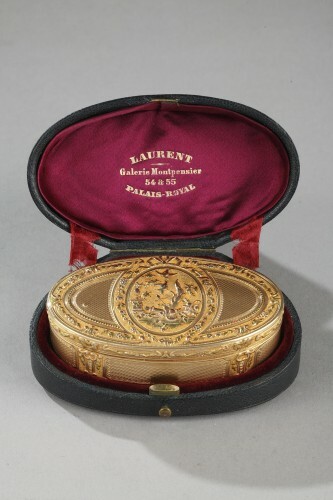 Oval snuff box featuring in gold of several tones.. 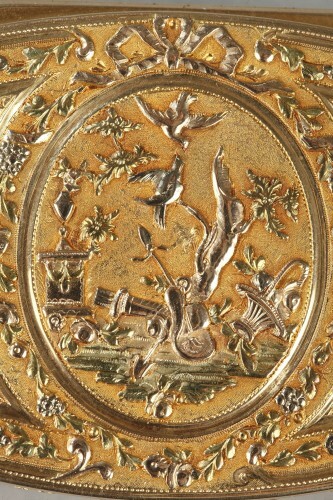 The hinged lid is decorated with a central medallion featuring two doves near an altar on a landscape background. 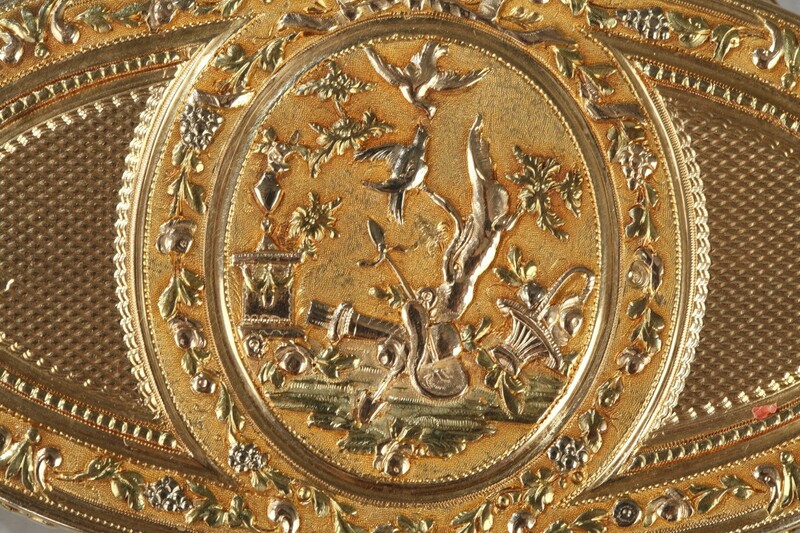 The doves that stand out against a background of amati gold. The doves, a symbol of love and of Venus in particular, are set on a matte gold background. The medallion is framed with friezes of flowers and bunches and stands out on a guilloche end called "barley grain" motif. 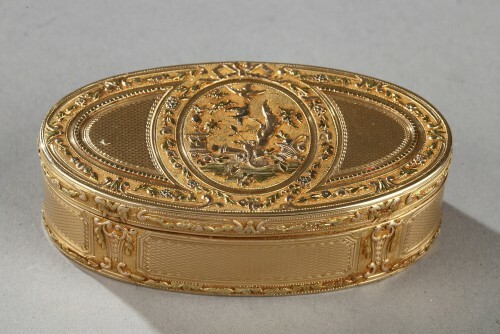 The border of the lid The border of the lid is highlighted with floral frieze. 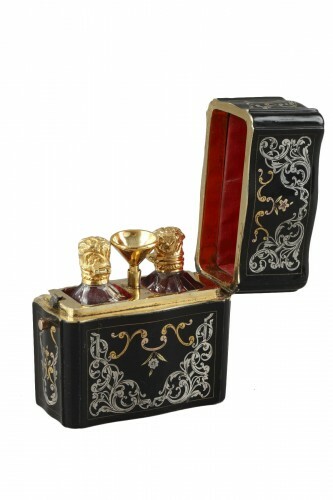 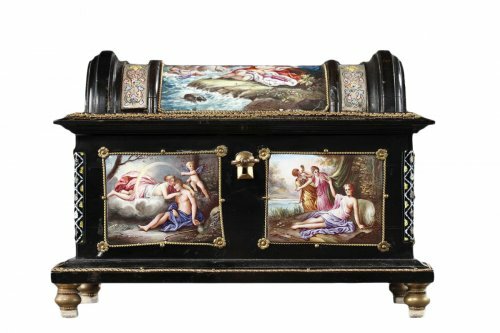 The body is made of four panels with angled corners and an intricate gometric design guilloche and pilasters and antique garlands. 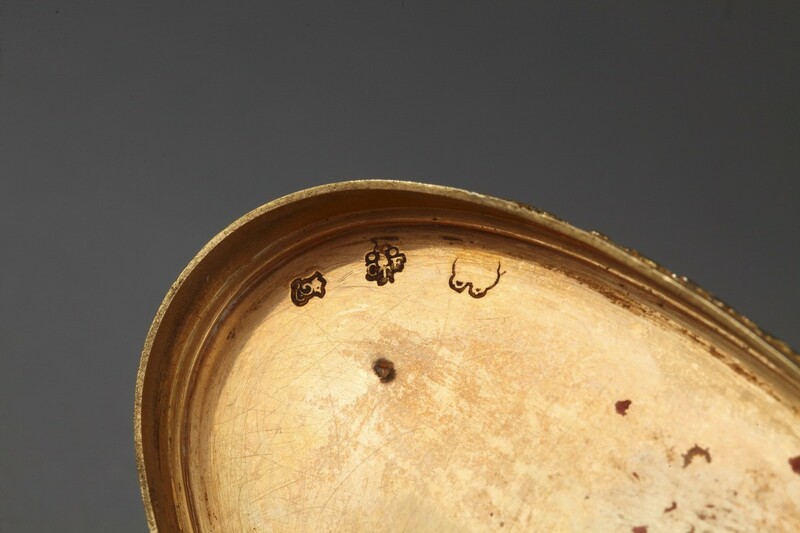 Charge mark: Crowned O, 1779-1780. 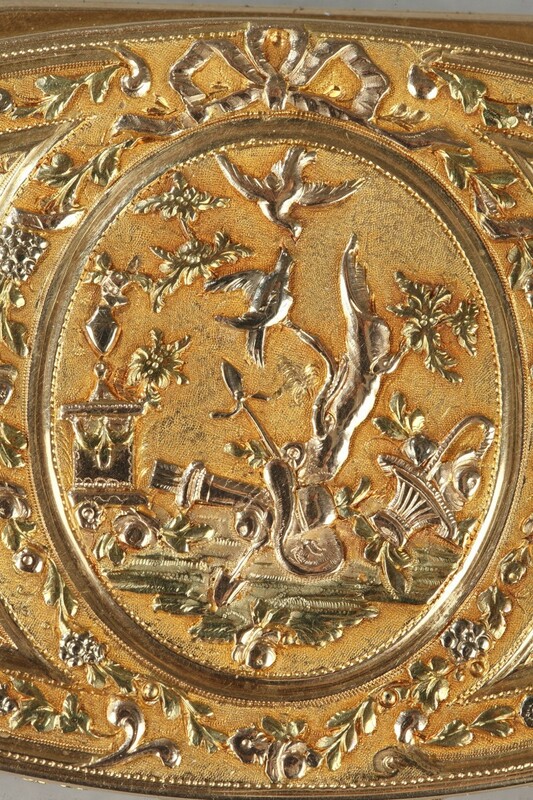 Master goldsmith mark: Claude François Thierry reçu maître en 1775.